The north island of New Zealand comprises of a narrow strip of land surrounded by the Pacific Ocean. It is home to both the capital city of Wellington, with its impressive arts’ culture and stunning coastline around to the wine region of the Wairarapa, and the vibrant city of Auckland where world-class eateries abound and the surrounding harbours and beaches provide opportunities for swimming, boating and spectacular views. But it’s not just the cities and the coastal beauty of this region that will amaze you. In the heart of the island you will be awed by subtropical forests, thermal terraces, crystal clear lakes, Māori culture and rolling farmland. Located in Waikaretu, a sheep and cattle farming area in spectacular limestone country, Nikau Cave has a wide variety of stalactites, stalagmites and a galaxy of glow-worms twinkling from the cavern roof. Group sizes are limited so as to not affect the peaceful, untouched atmosphere of the cave. Featuring an impressive stand of kauri trees, Trounson Kauri Park is a 586-hectare reserve managed by the Department of Conservation. You can take a guided night walk with a park ranger to try and spot the elusive kiwi bird and other nocturnal creatures. During the day, borrow inner-tubes from the local campsite and cool off in the stream. Woodhill Forest is one of the most popular riding areas near Auckland and has bikes available for hire for all ages and sizes. With more tracks than you could possibly ride in one day (67 to be exact), there is a little something for everyone from beginners to experts. Rangitoto Island is accessible by ferry from downtown Auckland. 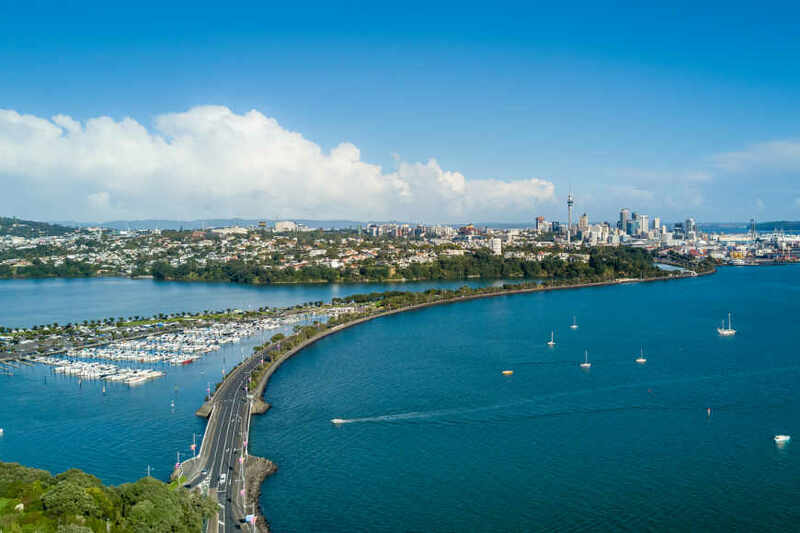 An easy climb through pōhutukawa forest gives way to panoramic views of Auckland and the Hauraki Gulf from the summit of this volcanic island. On the way up to the summit, take a short, well signposted diversion to a network of twisting tunnels and caves hollowed out from flowing lava. Remember your flashlight if you would like to explore the caves fully, as it is quite dark. Experience the beauty of Uretiti Beach from horseback. This guided horse trek is suitable for all levels and takes you along the pristine beach and surrounding horse trails with stunning sea views. A marine reserve accessible without a boat! Goat Island Marine Reserve, home to hundreds of fish, crayfish, sea urchins and other marine life, offers some of the best snorkelling opportunities in New Zealand. Masks and snorkels are available for hire, but if you prefer not to get your feet wet, you can take a trip in the glass-bottom boat and view the sea creatures from above. Whilst there, check out the Goat Island Marine Discovery Centre where interactive displays and touch tanks provide both fun and a wealth of information about New Zealand’s marine environment. Take a water taxi from Opononi to the sand hills at the nearby entrance to the Hokianga Harbour. Here you can hire boogie boards and have fun sliding down the huge sand hills. Join a unique and fun tour with an experienced local guide and travel by vintage tractor and trailer on a comfortable four-hour adventure to the largest mainland gannet colony in the world! Head down to Ocean Beach in Kawhia at low tide, clamber over the sand dunes and stroll down onto the beach. Find your spot and start digging for an instant natural hot water spa, with stunning views to match. Get on board an authentic Maori war canoe and enjoy an interactive Waka experience, providing you with a rare and unique insight into ancient Maori customs, rituals and traditions. The voyage takes you up a scenic river to a beautiful waterfall. Of course, these are only a handful of cool things you can experience whilst travelling around the north island of New Zealand. This is a country that is safe, family friendly and easy to explore no matter what ages your kids are or what your collective interests and fitness levels are.